Historic places create connections to our heritage that help us understand our past, appreciate our triumphs, and learn from our mistakes. Historic places help define and distinguish our communities by building a strong sense of identity. To ensure that their stories remain a part of our lives today, the National Trust for Historic Preservation protects and promotes historic places, including a diverse collection of 27 sites open to the public. When you visit a historic site, you learn from their stories and help keep history alive. 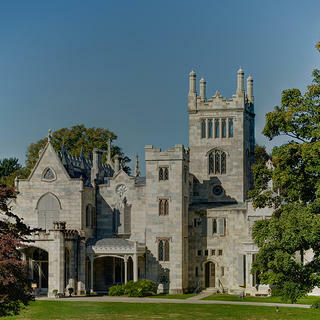 Members of the National Trust for Historic Preservation enjoy discounted admission to all 27 sites open to the public and over 200 Distinctive Destinations nationwide. Explore all of our historic sites via the map below, or see the full list here. The Historic Artists’ Homes and Studios program (HAHS) is a coalition of more than 30 museums that were the homes and working studios of American artists. Come, witness creativity. From unique historic sites to luxurious historic hotels, explore the stories of the past by experiencing firsthand the places where history happened. National Trust Members receive special discounts when they visit select historic places.